With the Timegate application now available, you can perform time tracking and attendance of your employees more easily and more quickly in your business without your employees necessarily need to have an internet­enabled smartphone! You have installed an android­enabled device that supports NFC in an appropriate fixture at the entrance of the office. Now each of your employees is assigned a personalized NFC tag. NFC tags are small chips that can be carried comfortably, for example on a key chain. 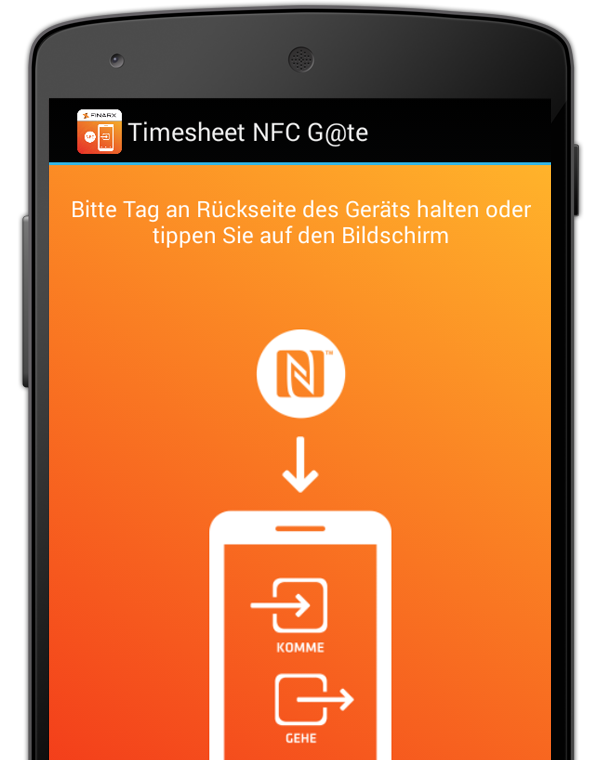 If an NFC tag is assigned to an employee (for further information please refer to the FAQ), it is sufficient to hold the NFC tag up to the Android device with installed Time Gate Software, and the time tracking is started or stopped. Even for companies that work in any local office, FINARX TimeGate can be useful. 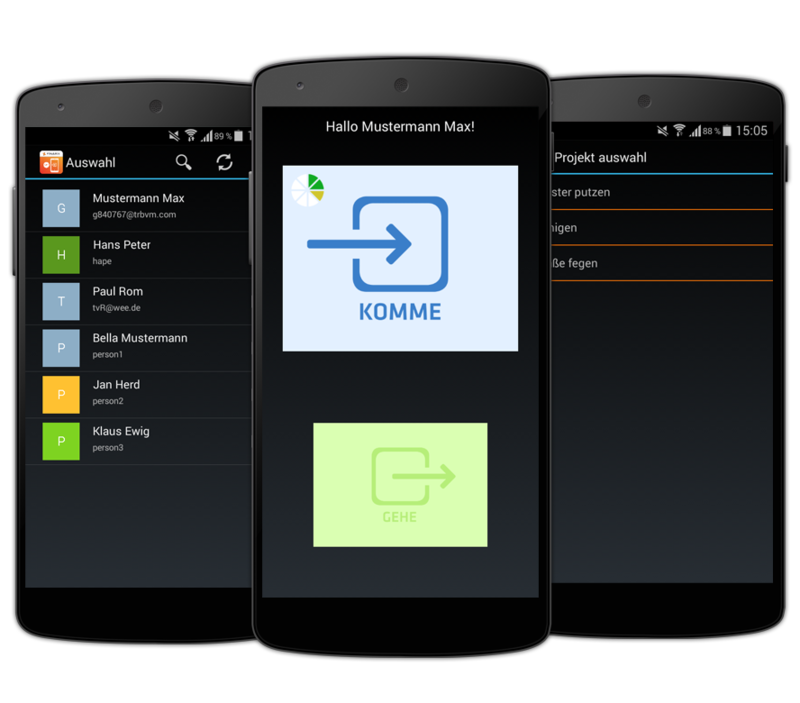 While the Foreman or Project Manager is carrying an NFC­enabled Android phone, it can be used as a mobile reader, for the staff of the project to very quickly and easily login and logout with their NFC tag. The fastest time recording since there was time - through NFC technology! Cost­efficient - Cheaper than conventional time recording terminals, you can purchase a NFC­enabled Android smartphone and use it as a "time clock" for your employees. No time to lose - When arriving or leaving, just hold your personal NFC tag to the reader and the time is transferred directly to the cloud! Flexible and mobile - through the mobility of a smartphone you have your time recording terminal always with you and can use it at any time. Great features for project managers / foreman - As a foreman, you can book the working hours of your employees easily and quickly to the appropriate projects and activities using the Time Gate app. Timegate uses Qlaqs - Qlaqs Timegate is directly connected to our Qlaqs WebCenter, so you don't need to create a new account. Are you interested in the Timegate terminal?